Easily Cut Any Format Video, Quickly Get Output Video in High Quality. "CutoMe is so much workable and easy to use. I have finished a wonderful video clip with the help of this program." "Good Experience. Very helpful! My Dad loves this software for its simple operation and useful function." "I really appreciate this video cutter. It helps me to accomplish the video clip of my family records. Thanks a lot!" 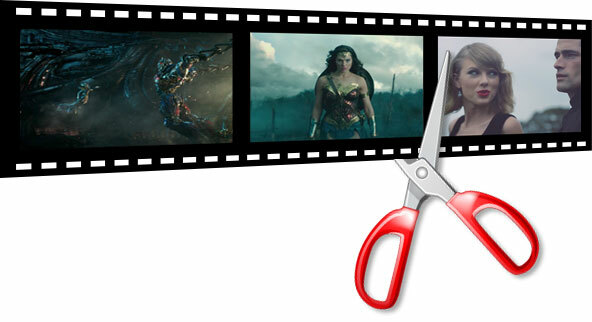 Trim large bunch of movies, videos and camera recordings into small piece files. Directly leading-in large video and crop it. Cut out mistaken/blank/unnecessary content from the videos. Quickly cut video with Direct Stream Copy Technology - no re-encoding process. Preview the clipped video in Real-time. By selecting the start and end positions, you can easily cut and split your video files as you want. 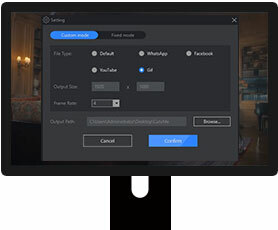 Conveniently and accurately display current video screen when you move mouse to cut the frame. Breezily set up duration from 1 second video to 10 seconds. Rapidly clip long video to several short sections and key parts. Customize for newbies. No need any professional IT skills, no need any knowledge about video formats. Perfectly crop video clip to Gif pictures. Support transforming GIF dynamic for any video format. Change output format with two modes: Custom Mode and Fixed Mode. Freely output video to Default format or other types like WhatsApp, Facebook, YouTube, etc. Custom-made clipped video output size, frame rate and output path. One-click easy button to make video screenshots and capture brilliant moment. No need to worry about quality reduction, such as unclear pixels, dropped frame, video stuck, or black screen. This video trimmer program supports all standard and HD video formats for your selection. MP4, AVI(XviD), ASF, WMV, MPG, MPEG1, MPEG2, FLV (Flash Video), 3GP, 3GPP, MOV (QuickTime), MKV, TS (MPEG-2), M4V(without DRM), VOB, TP, TRP, NSV, RM, RMVB, NUT, DV, etc. Virus-free and won’t damage your videos. Concise and easy-to-follow wizard offer you a wonderful user experience. 1. The entire cool user interface and new name. 2. Support Facebook, YouTube, WhatsApp video output format. 3. Support Gif image output file format. Dislike long video? Cut it now!